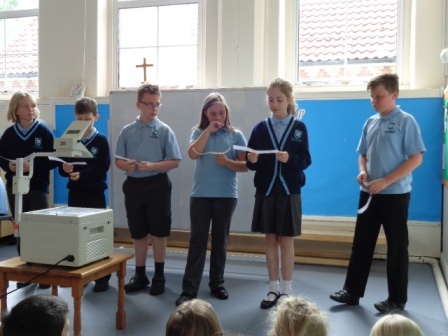 Worship lies at the heart of Christian life, and at Great Finborough Church Primary our assemblies allow us to join together in a daily act of collective worship which makes links to our school’s core Christian Values. We follow the Anglican Church Calendar when planning Collective Worship and we have built up an excellent relationship with the Church to support this work. At Great Finborough we offer many exciting and spiritually developing experiences for all the children. To give an opportunity to worship God. To provide time to share with others the things we have been doing, our thoughts and ideas. To respond in a compassionate and civilised way to experiences of injustice, cruelty, exploitation and greed. What will my child experience in Collective Worship at Great Finborough? Each half term, our assemblies focus upon an important Christian value and this value runs through our whole school assemblies. 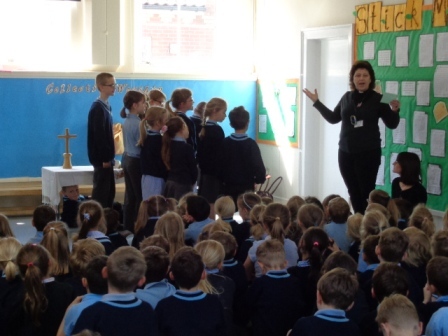 We have Collective Worship every day in the school hall. Different people use the Bible to discuss important topics which help the children think about their own actions and feelings. We also take time to celebrate the children’s successes in and out of school. We have time to sing together and quiet time to reflect and pray; Collective Worship is a time to think and a time to pray. The children play an important role in this and, using the ‘Flippin’ Praise’ publication, even take the lead in delivering Collective Worship. We also have weekly visits from Rev. Chris and ‘Open the book’ who retell stories from the bible which follow our ‘Values for Life’ theme. Our current Value for Life is Respect. We have been thinking about this value during our Collective Worship, during class reflection time and when we are moving around the school. As part of our Celebration assembly, we also praise children who have shown this value. Last term’s theme was Generosity. 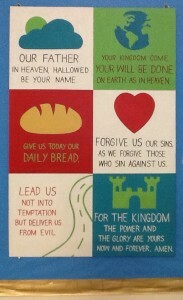 The timetable below shows which Collective Worship we have each day. These are planned by the Collective Worship Leader and the clergy. Open the Book began in 1999 to help thousands of school children discover Bible stories, during collective worship. Open the Book is a three-year rolling programme of themed and dramatised storytelling. 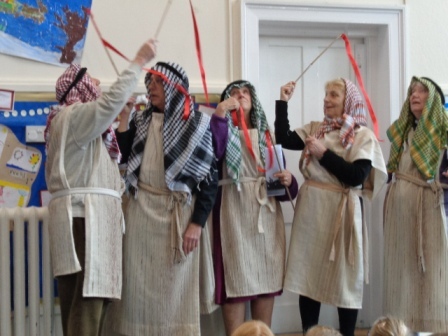 Our volunteers use drama, mime, props, costume – and even the children and staff themselves – to present the Bible stories in lively and informative ways. We base all that we do on a set of jointly held values, ‘Values for life’ a collection of 12 values that help us to grow and develop. Our values form the basis of our learning over the course of each term on a 2 year cycle. This academic year, 2017-18, our values are taken from Cycle A. 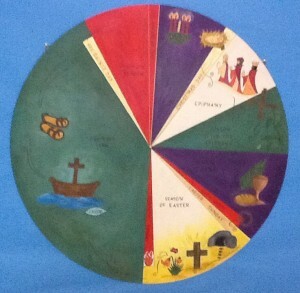 The school’s values are based on the teachings of Jesus as found in the Bible – focusing on 18 core values (Friendship, Thankfulness, Trust, Forgiveness, Justice, Compassion, Truth, Hope, Peace, Humility, Courage, Creativity, Generosity, Reverence and Respect, Wisdom, Perseverance, Service, and Responsibility). Through Collective Worship and R.E. teaching, children will learn about the life and teachings of Jesus, and how these affect the lives of those who follow them. They will find out what the Bible means to Christians, and reflect on what it means to them. The school follows the Church of England calendar of events including: Harvest, Christmas, Easter, Epiphany, Pentecost, Lent, Ascension Day and Patron Saints feast days. We celebrated Epiphany on Friday 6th January. 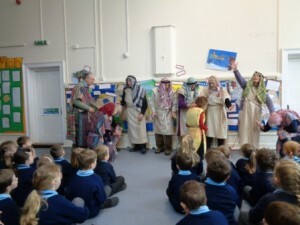 The whole school processed to St. Andrew’s Church following the Star and the Three Wise Men. 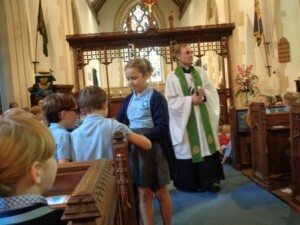 We had a service led by Reverend Rachel. The Feast of Epiphany marks the end of the 12 days of Christmas and celebrates the visit of the Wise Men to the baby Jesus. These men, often called Kings or Magi, brought valuable gifts of gold, frankincense and myrrh to honour the baby. Gold was a precious and expensive gift, and showed how important Jesus was. Frankincense is a sweet perfume which was often burned in the temple to worship God. It was a sign that Jesus should be worshipped. Myrrh was used to keep things fresh, and it was used by the women to anoint Jesus’ body when he died. By bringing it as a gift to Jesus, the wise men foretold his suffering and death. Symbols are an important visual aid to reflecting on our core values. You will see crosses and other Christian symbols at key places around the school building. 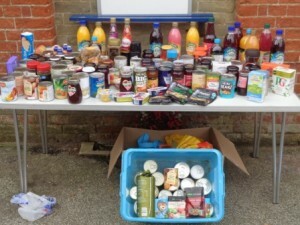 Great Finborough Church Primary School aims to work together with a range of local churches, including the Salvation Army Church. We also donate our Harvest food donations to the Stowmarket Food Bank to be distributed in the local community. The Anglican Church is diverse and world-wide and is a fantastic vehicle for exploring Global Links. At Great Finborough, children will have a chance to explore what it means to be a Christian in different countries, cultures and contexts through projects such as the Kagera project.